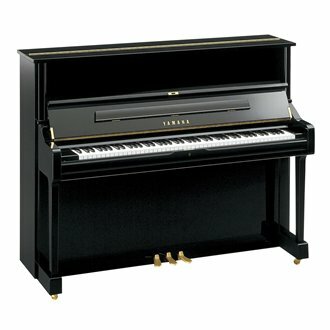 Yamaha have been making upright pianos since 1900 and their ‘U series’ of upright pianos are of the very highest quality. As well as being very popular with schools and colleges, the U1 and U3 models are equally suitable in the home whether for the beginner or professional musician. Guaranteed for two years, these specially selected pianos have been previously owned by private individuals in Japan, reconditioned and repolished in Japan by Yamaha or their approved workshops and now offered for sale at less than half the cost of an equivalent new Yamaha. If you have come across the Yamaha ‘U series’ of upright pianos you will know that the quality is of the very best. Yamaha have been making upright pianos since 1900 and grand pianos since 1902 – they are by no means newcomers to the world of musical instrument manufacture. As well as being very popular with schools and colleges, the U1 and U3 models are equally suitable in the home whether for the beginner or professional musician. Guaranteed for two years, these specially selected pianos have been previously owned in Japan (by private individuals), reconditioned and repolished in Japan by Yamaha or their approved workshops and now offered for sale at less than half the cost of an equivalent new Yamaha. Why buy from Cambridge Piano Tuner? Because we believe that we offer the best service and the highest quality Yamaha ‘U’ series pianos in the Cambridge area. It is possible to find similar pianos for sale by larger internet based retailers at a cheaper price but once the piano has been delivered, their interest in you and their obligation to you ends. We only sell locally, usually to clients who know Nigel as their tuner, and we are keen to maintain contact and ensure that our clients remain perfectly satisfied with their piano. Unlike many large retailers, we do not ask, expect or require any other tuner / technician to tune or carry out work under guarantee for us. 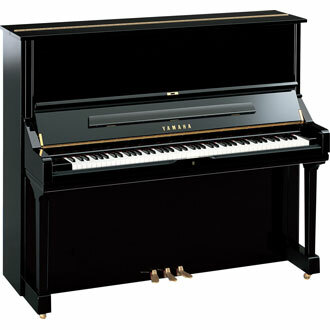 The Yamaha U1 comes in a black polyester high gloss finish. The piano has 7¼ octaves and 3 pedals. Prices from £3,000 including delivery, initial tuning and setting up. The Yamaha U3 comes in a black polyester high gloss finish. The piano has 7¼ octaves and 3 pedals. Prices from £3,500 including delivery, initial tuning and setting up.